I often hear salespeople brag, “We don’t really have any competition.” They believe their product or service is so superior to everyone else’s that they’re truly in a category of one. This is a dangerous mindset, because it’s patently false. 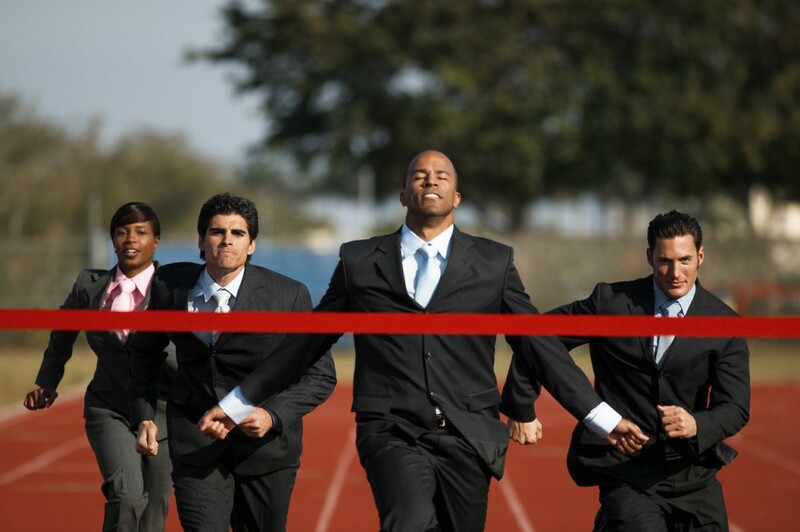 No matter what you sell, you have competitors. And ignoring that reality will cost you sales. • Products and services people perceive to be similar to yours. • Alternative ways your prospect could achieve their goal. 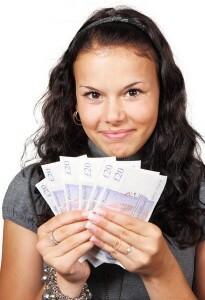 • Anything else your prospect could spend their limited budget on. • The option of doing nothing. Online dating services compete not just with each other, but also with speed dating services and professional matchmakers. They in turn compete with bars and nightclubs. Who compete with hundreds of other recreational activities a person can engage in. And all of them compete with staying home alone watching a movie on the couch. If you own a pizza place, your competition isn’t merely every other pizza joint in town, but every other restaurant in town, plus the option of cooking at home, plus the option of skipping a meal altogether. It means if you want to boost your sales, you need to recognize that buyers aren’t going to come flocking to you just because you happen to think you have a “unique” product or service. You need to make the case for why your prospect should want or need what you’re selling in the first place. And then you have to persuade them that your product or service is better for them than any other option they could buy instead. In other words, you have to market and you have to sell. Because every day, that’s what your competition is doing. Do you know what the real value of your product or service is? Can you articulate your value to a prospect so they understand it? Have you ever wondered why some people immediately appreciate your value while others just don’t seem to get it? Listen to my appearance on Breakthrough Business Strategies Radio with Michele Price. In this nine-minute segment, I discuss the reason so many salespeople and professionals undervalue what they sell. You’ll discover how to determine your real value and how to effectively communicate it to your prospective buyers. To learn more about Michele Price and listen to her interview other business experts on Breakthrough Business Strategies Radio (which I strongly recommend), check out WhoIsMichelePrice.com. Whether you’re a salesperson, a small business owner, or a CEO, you have to make decisions every day. Some are small and some are big, but you’d certainly like as many of them as possible to be good ones. Yet for a skill we all have to use multiple times a day, we’ve never really been taught how to do it. In his new book, Figure It Out: Making Smart Decisions in a Dumbed-Down World, Robert Wendover aims to rectify this oversight. Wendover argues that decisions have become harder to make—due to radical increases in choice and information—while the pressure to make the “right” decision—quickly—has grown dramatically. If you’re in sales or management, I’m sure you can attest to both. One element in the book, however, is particularly valuable for anyone in sales. In Chapter 9 (“Clarify the Problem”), Wendover shares 22 questions to ask yourself as you’re analyzing a problem. The beauty is, most of these questions are perfect for posing to your prospects! The book is worth buying for this one chapter alone! Figure It Out is easy to read, with short chapters and a conversational style. In addition, each chapter contains a QR code that links to bonus video content that dives even deeper into the subject at hand. 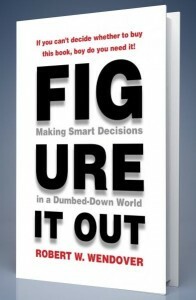 Figure It Out will not only help you make smarter decisions, it will enable you to help your buyers make smarter decisions as well.